We are happy to announce the publication of new articles in Argument & Computation and Artificial Intelligence. Sylwia Polberg will give a talk on Intertranslatability of Abstract Argumentation Frameworks on May 14th at the 7th edition of the PhDs in Logic conference. The full program can be found here. We are happy to announce that the following papers have been accepted at IJCAI 2015. Ringo Baumann and Gerhard Brewka. On 21st and 22nd of April 2015 we organized a workshop (“Argumentation Spring Meeting”) at the University of Leipzig, considered as a forum for researchers in the field of argumentation, with a focus on Abstract Dialectical Frameworks. Participants were: Katie Atkinson, Ringo Baumann, Gerhard Brewka, Martin Diller, Stefan Ellmauthaler, Sarah Gaggl, Thomas Gordon, Anthony Hunter, Sylwia Polberg, Jörg Pührer, Sebastian Rudolph, Hannes Strass, and Stefan Woltran. The program can be found here. Photos: 1, 2. A Special Issue of Argument & Computation on Applications of logical approaches to argumentation, co-edited by Stefan Woltran, has been published. Thomas Linsbichler has been awarded the Best Student Paper Award at the 5th International Conference on Computational Models of Argument (COMMA 2014) in Pitlochry, UK, for his work on Splitting Abstract Dialectical Frameworks. Sylwia Polberg has won the Best Talk Award at the 7th European Starting AI Researcher Symposium (STAIRS-2014) in Prague for her presentation on Extension-based Semantics of Abstract Dialectical Frameworks. 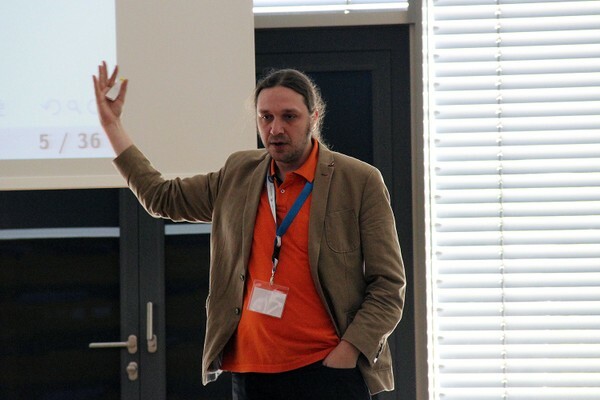 Gerd Brewka will give an invited talk at JURIX 2013 about "Abstract Dialectical Frameworks and Their Potential for Legal Argumentation". Sylwia Polberg, Johannes P. Wallner and Stefan Woltran. Johannes P. Wallner, Georg Weissenbacher and Stefan Woltran. Stefan Woltran gave an invited talk/system demo at the ACAI 2013 on Implementation of Argumentation (slides). The project has officially started on 2013-07-01 and will have a duration of three years.